FeatFlow (Finite Element Analysis Toolbox for Flow) is a finite element CFD Fortran code using a very efficient FEM discretization together with a geometric multigrid approach for solving linear systems. This results in a very fast and computationally efficient solver, typically yielding a magnitude or more of speedup compared commercially available solvers. 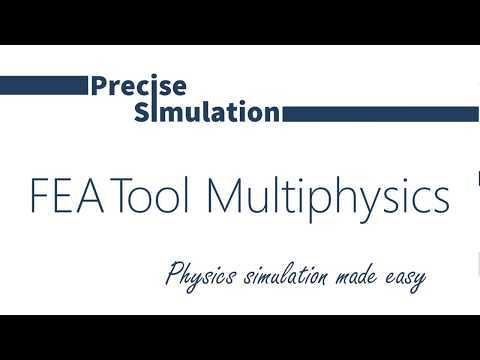 FeatFlow can be used from MATLAB with the FEATool Multiphysics GUI interface. FEATFLOW was added by espinozahg in Jul 2017 and the latest update was made in Apr 2018. The list of alternatives was updated Dec 2018 There is a history of all activites on FEATFLOW in our Activity Log. It's possible to update the information on FEATFLOW or report it as discontinued, duplicated or spam. Alternatives to FEATFLOW for Windows, Linux, Mac, Web, Software as a Service (SaaS) and more. Filter by license to discover only free or Open Source alternatives. This list contains a total of 14 apps similar to FEATFLOW. No reviews yet for FEATFLOW, want to be first? Maybe you want to be the first to submit a comment about FEATFLOW? Just click the button up to your right!